"Big data" has become one of the most talked about trends within the business intelligence (BI), analytics and data management markets. With vendors marketing a wide variety of technology offerings aimed at addressing the challenges of big data analytics projects, it can be hard to discover the best solution. Gaining visibility into pools of big data is easier said than done. The number of organizations who are looking to BI and analytics vendors to help them answer business questions is growing. 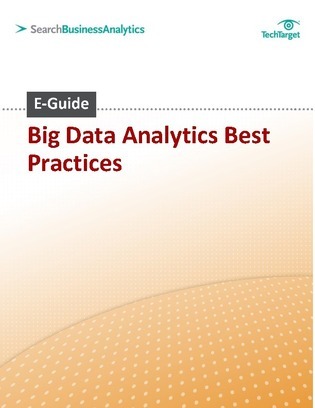 In this expert E-guide,you can learn more about big data and how to identify the best solution for your business needs.